I always considered myself moderately eco-conscious. I recycled and tried to remember to bring canvas totes to the grocery store. But looking back, I was very far away from making green choices! Yes, I recycled, but I went through tons and tons of plastic containers each month. My personal care items and cleaning supplies were filled with toxic chemicals that are bad for the earth (and people!). I ate tons of meat, and we didn’t buy organic because of the expense. I thought I cared about the environment but I had no idea how much more I could be doing! I’ll admit most of the changes we made didn’t actually come from our devotion to the earth. They came from our desperate struggle to get pregnant despite the odds. 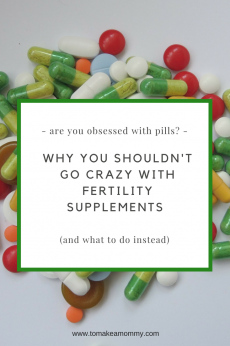 I was told I would never get pregnant with my own eggs after diagnoses of High FSH, Low AMH, low antral follicle count, endometriosis, MTHFR mutation and recurrent early losses (read about my story here!). 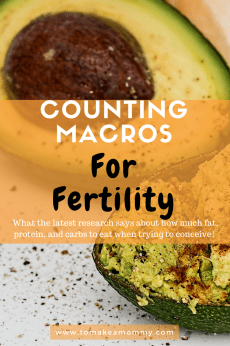 Well, we embarked on a life changing series of diet and lifestyle changes that ultimately got us pregnant naturally & successfully- twice (read my second miracle story here!)! *This post is sponsored by Solcraft Medical, maker of the first sustainably made and biodegradable pregnancy tests and ovulation predictor kits. 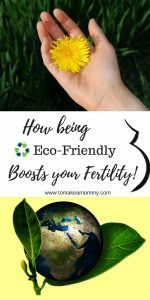 And now, looking back, I realize just HOW MANY of the changes I made were actually changes that weren’t just good for fertility- they were good for the earth! 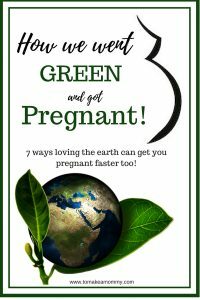 Through our need to enhance our fertility we accidentally stumbled into clean, green eco-conscious living! 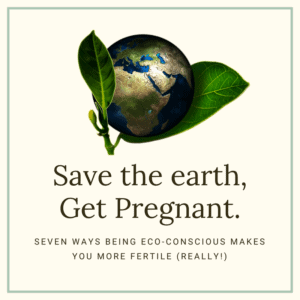 I thought it would be worthwhile to go over just HOW MANY choices you can make that will both make you more fertile AND help the earth. 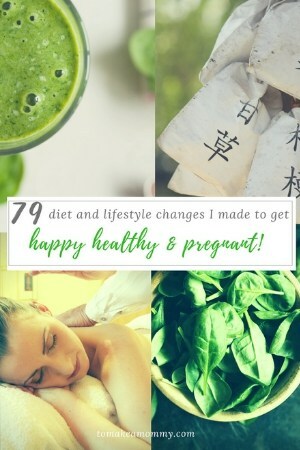 So, whether you are in it for the planet or for health & fertility, these changes can only make improvements! The average American throws away approximately 185 pounds of plastic per year. Every year enough plastic is thrown away to circle the earth 4 times. (Want more crazy numbers? Check out this article). Basically, our poor planet is drowning in single-use plastic items, and recycling will not save us. AND . . . it turns out that plastic is, in fact, pretty darn terrible for fertility. Most plastics contain BPA and/or phthalates which are endocrine disruptors that are linked to decreased fertility in men and women, miscarriage, and pregnancy complications. 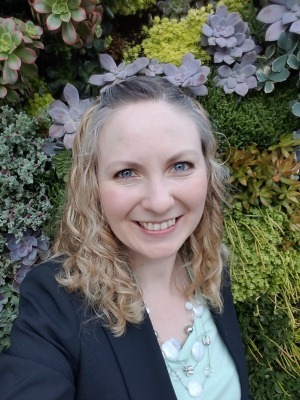 Read my full article on the research behind phthalates, BPA and infertility here. These toxins are also linked to cancer and to intellectual and emotional developmental complications in children. Gross. Here are six great ways to reduce your exposure to plastic where it counts the most for fertility- in the containers you eat and drink from, and that you store food and beverage in. Stop using plastic water bottles!!! Terrible for the earth and for you! Invest in a reusable stainless steel or glass water bottle. Klean Kanteen and LifeFactory are my favorites. Stop using plastic straws. Straws are so bad for the environment some cities are banning them! If you are addicted to straws buys some nice glass or stainless ones (these are what I have!)! 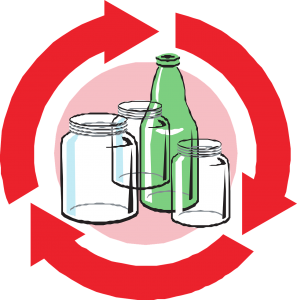 Try to buy food and beverage whenever possible in glass containers instead of plastic. This is most important for liquids, highly acidic foods (like tomatoes), and high-fat foods which are more likely to leach the BPA and phthalates. Avoid canned items, because cans have BPA- cook fresh instead. If you MUST buy in cans, make sure you are buying a BPA-free brand like Eden Foods, Muir Glen, and Amy’s. Replace any plastic food containers at home with glass, high-quality stainless, or ceramic. Our kitchen is filled with multi-sized mason jars and glass pyrex with glass lids. Never use plastic for drinking out of, or for plates or silverware. Bring a single set of silverware (like this one) to the office so you don’t have to use disposable plastic utensils. Be clever about reusing and upcycling. For example, we only buy one brand for all our nut butters- that way all the glass jars and lids match. We save the jars and use them as kitchen storage- and everything looks tidy and the lids are all the same so they are easy to match. Phthalates don’t just live in plastics, they are also found in any personal care item or cleaning product that has “fragrance” or “parfum” in it. Parabens can be found in mainstream personal care products, and have similar detrimental effects on fertility as phthalates, as they are both endocrine disruptors. Endocrine disruptors can lower fertility and increase endometriosis and some cancers. They are thought to be responsible for the declining sperm counts in western countries, and for congenital malformation in babies. 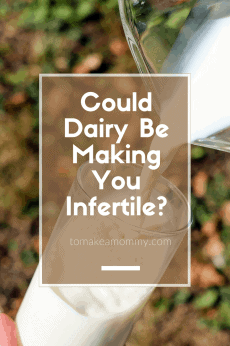 These two toxins not only hurt our fertility, they also hurt our environment by contaminating the earth and soil and creating reproductive problems in species around the world. Some examples include the thinning of bird eggs, the feminization of male fresh water fish, and problems with the reproductive systems of reptiles (see this study for more examples). Go through all your cleaning items and throw away all the regular toxic ones, especially if they have phthalates, but also watch out for ingredients such as triclosan, sodium lauryl sulfate, and of course bleach and ammonia. Replace with non-toxic varieties. See all my favorite non-toxic items here! Or, take it up a notch, and reduce your plastic consumption even further by making your own cleaning products using a simple castile soap dilution (like with Dr. Bronner’s– what we do), or mixes of vinegar, water, and baking soda, in a reusable glass spray bottle. That’s what we did until we bought ur home electrolyzed water system that allows us to never need to buy a new cleaner or spray bottle again! And its a non-toxic FDA approved disinfectant! We also subscribe to a non-toxic laundry system that sends us little packets we mix up in the plastic jug- so we now own the last laundry jugs we will ever buy! Go through all of your personal care items (and your husband’s!) and ditch any with phthalates and parabens. To be free of phthalates you either want the packaging to specifically say “no phthalates” or to have no list of “parfum” or “fragrance” in the ingredients. To be free of parabens, you need to make sure none of these are in the ingredient list: methylparaben, ethylparaben, propylparaben, butylparaben, or other ingredient ending in -paraben. You need to check everything- shampoo, conditioner, deodorant, perfumes, colognes, moisturizer, makeup, soap, hand soap, etc.! I love Beautycounter for safer skincare and make-up, and Primally Pure for non-toxic deodorant! Check out all my favorites here! Or, take it up a notch again and make your own beauty products and store them in glass. You can pretty much find DIY recipes for anything and everything on the internet and save money and the amount of waste you produce! Did you know that every year around 20 BILLION sanitary napkins, tampons, and their plastic applicators are dumped into North American landfills? (See the article from Harvard Business School for more shocking statistics!) We don’t have the numbers for the whole world. The plastic usually wrapped around the cotton in the trash means it will take hundreds of years for these to biodegrade. Think of how many you go through in just one period! AND, did you know that conventional tampons and sanitary pads are laced with chemicals toxic to fertility? We’re talking pesticides on the cotton, phthalates, and BPA! In your private areas where your skin is the most porous! If you must use disposable pads or tampons, buy only organic cotton ones, and for heaven’s sake don’t use an applicator. If you absolutely can’t handle using your finger, buy ones with biodegradable cardboard applicators. Consider fertility and budget friendly reusable options like organic cotton cloth pads or silicone menstrual cups! Check out my full blog post on why conventional feminine items are dangerous, and what fertility-friendly (and eco-friendly) options are out there! You know it is true. Eating meat is terrible for the environment, because of excessive water use, water pollution, deforestation, and carbon emissions. 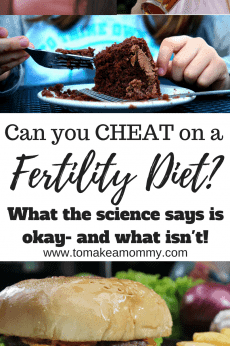 And while eating meat in general isn’t bad for fertility, the Harvard Nurses Study on fertility diet showed that women who ate a whole lot of meat were less fertile. Plus, conventionally farmed, non-organic meat is loaded with hormones that are harmful to fertility. Limit your meat intake and eat more fertility friendly proteins like sustainably farmed fish, eggs, lentils, beans, and nuts. During my first successful fertility diet I limited meat consumption to around three times per week. My second successful fertility diet I did eat organic meat about once a day to keep my protein intake high. Of course be conscious of your own personal health and dietary restrictions- if beans destroy your gut, don’t eat them. When you do eat meat, buy organic! Not only is it better for your fertility but organic farming methods are also much more likely to be eco-friendly. Check out my post on saving money when buying organic! Whenever you can, support companies who purposely minimize their carbon footprint and sustainably develop safe, non-toxic, and/or biodegradable products. Instead of buying expensive plastic pregnancy tests and ovulation predictor kits that will sit in a landfill for hundreds of years, order biodegradeable pregnancy tests and ovulation tests made from recycled plastic! Solcraft is a family-owned and operated eco-conscious company making these tests in ways that minimize environmental impact. Their pregnancy tests and ovulation predictor kits (OPKs) are made humanely in the US with biodegradable and recycled materials. Beautycounter not only makes fantastic non-toxic skincare and make-up but also works for sustainable production by doing things like purchasing their carbon offsets, ensuring ingredients are sourced sustainably, and making their packaging as sustainable as possible by using glass and paper whenever possible. Their make-up wipes are the only fully compostable wipes I know about on the market! Natracare makes organic pads and tampons made from sustainable materials that are compostable, biodegradable and 100% plastic free. Look for cool, niche companies that offer zero-waste products! I love MyGreenFills for laundry, Force of Nature for cleaning, and Dental Lace non-toxic refillable floss! 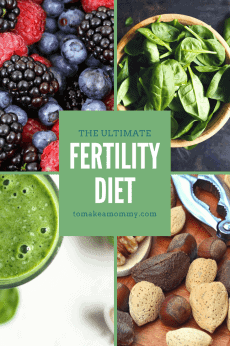 When you start eating a healthy fertility diet you are going to be amazed by the amount of veggie and fruit waste you have each and every day. Our onion and garlic peel output is ridiculous. We started our compost pile in our backyard when we realized half our trash bag was filled with compostable waste. PLUS if you make my herbal fertility infusion, the leftover infused herbs are a natural compost activator! Just throw it in, mix it up, and you get gorgeous earth you can use for gardens the next year! 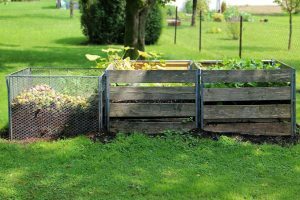 Your compost bin doesn’t have to be this pretty :-). Ours certainly isn’t! Because pesticides and other toxic chemicals harmful for fertility aren’t used in organic farming, eating organic produce benefits your baby-making and the earth! Pesticides are related to delays in conceiving, harm to embryos, and spontaneous miscarriage. (Read more here!) Conventional farming risks contaminating the soil and water with these harmful chemicals from fertilizers and pesticides. Additionally, organic farming encourages sustainable practices for the soil, reduces the climate impact, and increases biodiversity. If you can’t afford to buy all organic, start by avoiding the “Dirty Dozen“ suggested by EWG as the most contaminated with pesticide! Even though it’s expensive, we’ve made a family commitment to buy organic for about 90% of our food and beverages. Bike or Walk Instead of Driving – Light, gentle exercise is great for fertility and will cut down on your carbon footprint at the same time! Of course, this is easier when you are in a city or town center than in the suburbs or a rural area! Say NO to Receipts– Receipts are covered in BPA which damages fertility and even when they are recycled the BPA can contaminate future paper products, including those that might touch food. I say no whenever possible, and when I must get a receipt I wash my hands immediately after touching it. Vote for representatives who care about consumer health and the environment. I don’t often talk politics on the blog, but we need representatives who are passionate about protecting the environment and consumers from harmful toxins. At least in the U.S. these often happen to also be the same representatives who are passionate about the freedom to use assisted reproductive technologies like IVF. What have YOU done on your baby-journey that also helps the environment? What more can you do?